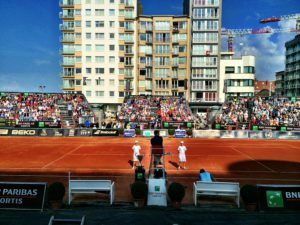 Every summer the Rising Stars Tennis Tour makes a stopover in various resorts along the Belgian coast. These men’s tournaments provide a real boost to young Belgian players. They also enable a player to win points towards an ATP ranking, to gain experience against good competition and to win a prize that will help towards forging a career as a professional tennis player. 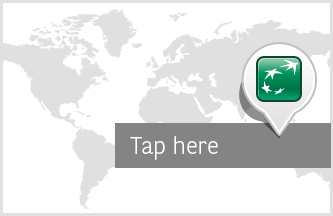 Originally called the BNP Paribas Fortis Men’s Summer Tour, this initiative began in 2011 with tournaments held at three seaside resorts. They immediately became very popular and three other clubs joined the circuit, which was in the meantime renamed the Rising Stars Tennis Tour with BNP Paribas Fortis. The final tournament of the 2014 edition took place in Middelkerke in mid-September. In 2014 the Tour entered its fourth year, stopping in Damme, De Haan, Knokke, Westend, Duinbergen, Ostend, De Panne and Middelkerke. Seven tournaments offered $10,000 each in prize money while the final in Middelkerke had a prize money pot of $15,000. The 2014 edition attracted more than 200 junior players from 25 countries. On the sidelines of the tournaments there are various events such as a Kids’ Day, a Ladies Day and a meet & greet session with the players. Like every year, entry to the courts for all matches, including the final, was free-of-charge.